I have to admit that Sinful Shine hasn’t really been on my radar for watching collections. I have picked up a polish here or there but my collection is mostly Sinful Colors. I’m a die hard fan. Any new collection is a must have for new colors. So when I heard about this collection I wasn’t into it at first. After seeing some of the swatches online I knew that I wanted them all. Thankfully I found them days before they were to be released. From what I can tell this collection isn’t in every Walmart store. I’ve only found it in one store in my area. I guess I lucked out the day I found them. There are 20 polishes in this collection which makes it the largest released collection I can think of from Sinful Colors. I bought all 20 polishes and I’m slowly working my way through them all. 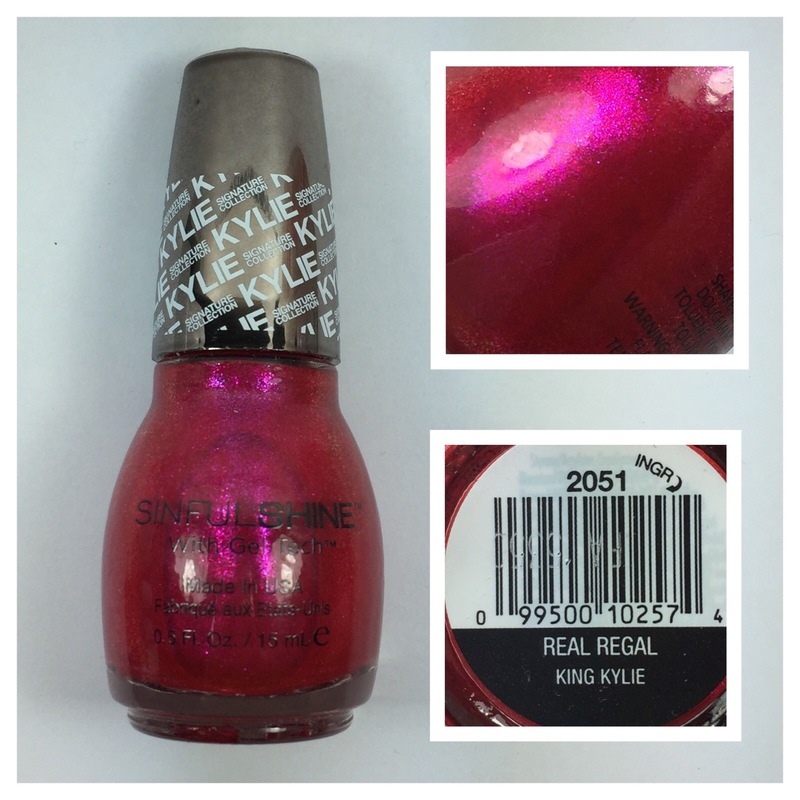 Sinful Shine Real Regal from the King Kylie collection is a fuchsia polish with magenta/purple flash. I’m always drawn to this color. This polish has a very smooth application and is opaque in two coats. Because of the high shimmer in this polish cleanup is easy but does leave shimmer behind if you have a lot of cleanup.